Free 3-week course. Registration is required (see below). All food and equipment provided. at Alexander Community Centre, 960 Silver Street. The Carlington Community Association received a United Way Sparks Grant to engage local residents in a 3-week cooking class. 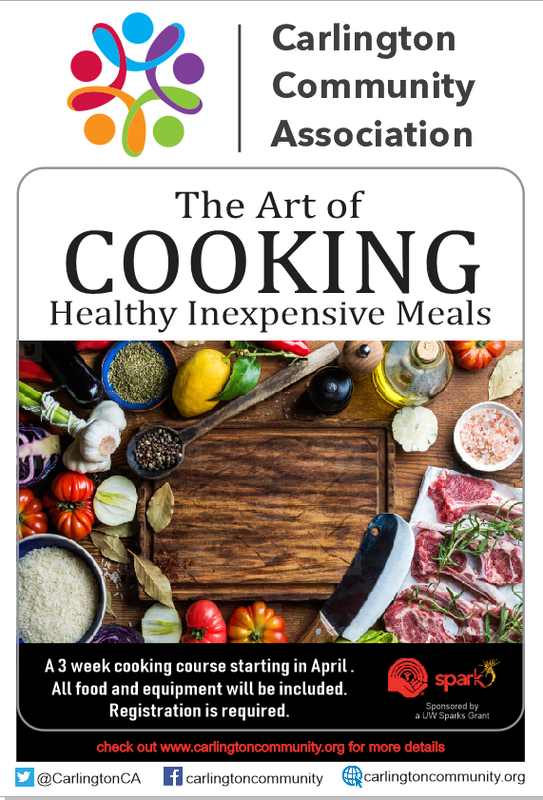 Each week, participants will learn new knife skills such as how to properly debone a chicken and how to use a slow cooker to prepare healthy and delicious soups. Family-sized portions will be available for participants to take home each week. The final meal will be a tasty chicken and vegetable soup, perfect for sharing with friends or family. These classes will lay the foundation for a monthly cooking club where course participants and other Carlington residents can come together and share recipes. All food and equipment is provided. Course participants will be able to take home new knives for personal use and borrow slow cookers from the community centre. To register or for more information, please send an email to: activities@carlingtoncommunity.org.